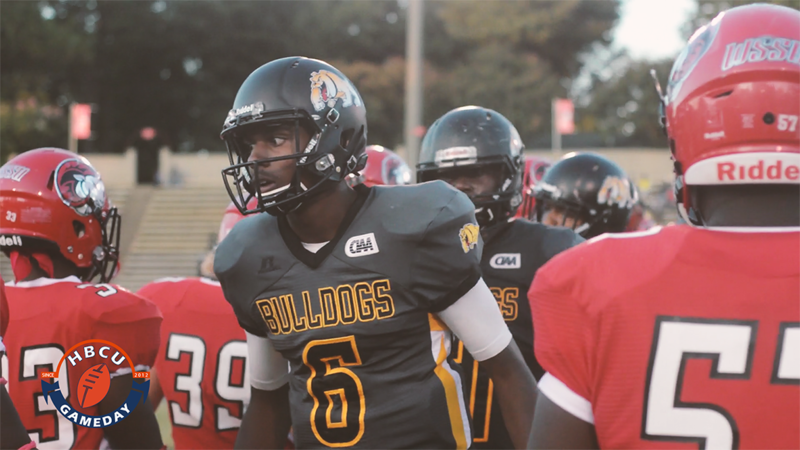 Bowie State had its way with Winston-Salem State on Saturday. Bowie State came down I-95 ( and I-85 and I-40) on a mission as it squared off with Winston-Salem State on Saturday. After having its championship dreams shattered twice by WSSU, Bowie came out composed and focused and came out with an impressive 31-13 win. BSU’s offense came in with a methodic, measured attack as reigning CIAA Offensive Player of the Year Amir Hall’s passing took a back seat to an aggressive running game, led by Robert Chesson. Chesson rushed for 95 yards, including two touchdowns as BSU got up 24-0 before WSSU could even muster a score. Chesson got the scoring going with a two-yard run just before the end of the first quarter, and Gene Carson added a 36 yard field goal with 3:01 left in the first half. A pair of rushing touchdowns by Chesson (19 yards) and Hall (a one-yard keeper) put Bowie out comfortably in front. WSSU would add a pair of second half touchdowns, one in each quarter, but its offense never really got into a rhythm as Bowie held the ball for better than 35 minutes. Bowie State improved to 2-0 as it prepares to take on St. Aug in Week Three while WSSU falls to 1-1 and will hit the road to take on Virginia Union as it continues a string of four games against opponents from the CIAA’s Northern Division.